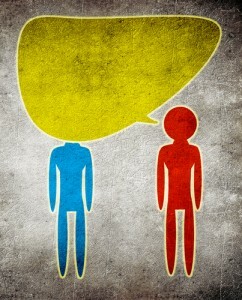 At a time with so many ways to communicate in person and online, it’s a reasonable question: Can you over communicate? How you communicate is what makes the difference. Effective leaders in any walk of life use questions instead of statements as their primary communication tool though. They use inquiring words like “who…what…why…when…where…and how,” to find out what is important in a conversation 80% of the time and pontificate or proclaim by way of statements merely 20% of the time. From query learn, engage, let others shine. You don’t do it to interrogate, put a person into a corner, or be hostile. A key component of asking is to then listen to the answer. Even when you know the answer it is important to ask people to get their reply; their point of view, first. You want to learn their thinking and test how close or far apart you are. If you want to influence people you don’t always have control over you best find out what they want to achieve and what they want to avoid. By asking you discover if and where there is a dangerous gap. The most powerful motivating question is “What do you want to steer clear of; when the dust settles what don’t you want to have happen?” People are more motivated by a negative outcome than a positive one. If I called you at 3 AM and told you, “I bought you four new tires for your car,” you would receive the news less favorably than if I called you at 3AM and said, “I was just driving by your house and I see some kids taking the tires off your car.” Avoiding loosing your tires is more motivating than getting new ones — at least at that time! One universal truism is that leaders stand out from the crowd. In effort to communicate well — even if you were trained to give answers — you will positively stand out when you ask questions before giving answers, recommendations, and solutions.